Craving a traditional Southern meat-and-three? The best restaurants in Atlanta are some of the best in all of Georgia. Southern food gets a lot of love from Americans and tourists alike (can you blame them?) 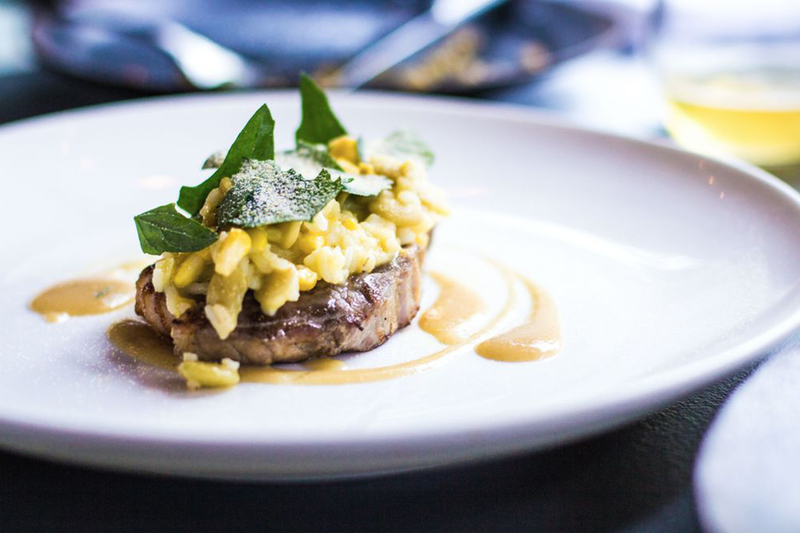 and a mere glimpse at our list of best restaurants in Atlanta will prove why. Although the likes of Charleston and New Orleans are considered by many to be Southern foodie destinations par excellence, there is something about the meat-and-three dishes (pick one meat and three sides and devour them alongside cornbread and sweet tea) served at these local eateries that tickle our taste buds with pure excitement. 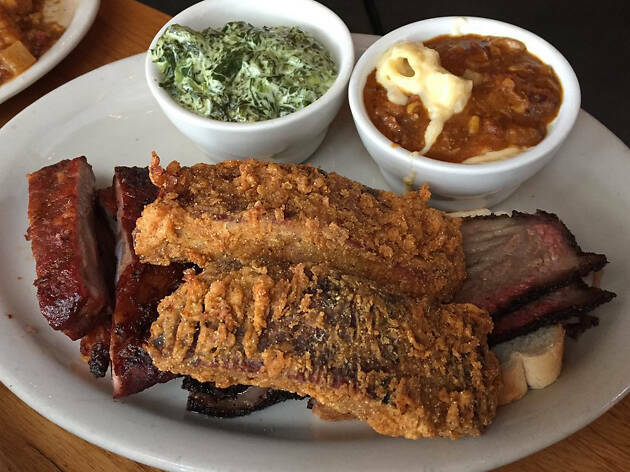 And don’t forget about the local BBQ scene: one of the very best in the country. 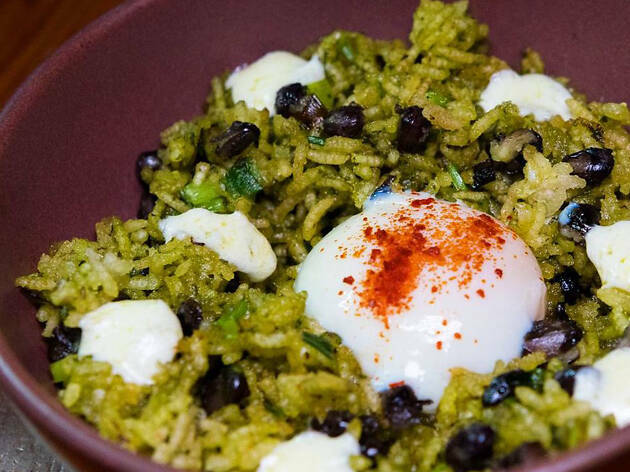 In beautifully designed eateries, suburban strip malls and hole-in-the-wall spots, some of America’s best chefs are making delicious meals for discerning diners right here in town. So whether you’re looking for a quick meal, a delectable brunch, a personalized Japanese omakase experience or a luxurious dining session, the city has you covered—because eating great food is truly one of the best things to do in Atlanta. What is it: One of America’s best restaurants in more ways than one. In addition to serving outstanding food, the eatery raises money to provide emergency assistance to restaurant workers. Chef Ryan Smith, a 2017 James Beard award nominee, creates food so beautiful and delicious that diners literally swoon over it. Expect a bright atmosphere and friendly service as well. 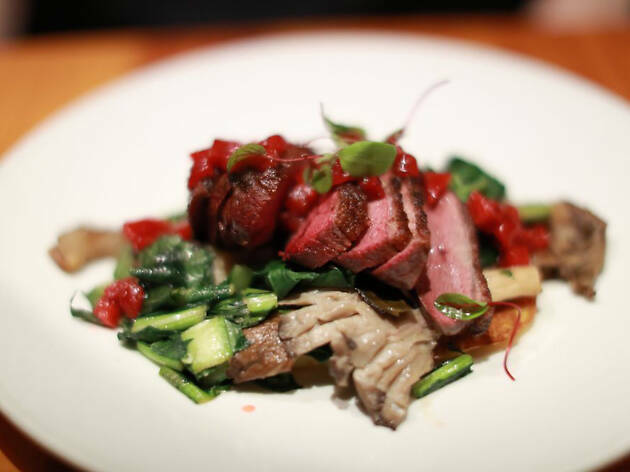 Why go: It’s dinner theater in the best sense of the word—each course delighting the senses in exciting new ways. What is it: This might just be the city’s most beautiful restaurant. Fitting, since it’s tucked into the second floor of the luxe St. Regis Atlanta. Chef Christopher Grossman, who once worked for chef Thomas Keller, has a deep respect for Georgia’s agricultural bounty and lets those flavors shine through in his artfully presented plates. 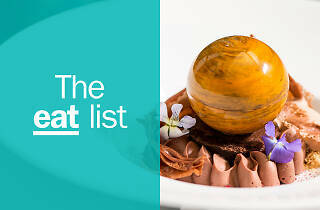 Why go: Top-notch service, stunning food and a wine list that will make your head spin. Be sure to have a look around, since this gorgeous restaurant boasts one of the best fine art collections in the country. What is it: Great Southern cooking, elevated. The menu runs the gamut, including appetizers that star farm eggs baked celery cream, one of the best grass-fed burgers in town, a duck breast to die for and must-try house-made ice cream sandwiches. Why go: The restaurant is helmed by chef Steven Satterfield, who won the 2017 James Beard Award for Best Chef Southeast, a region crammed full of exceptional talent. Do you really need another reason to make a reservation? 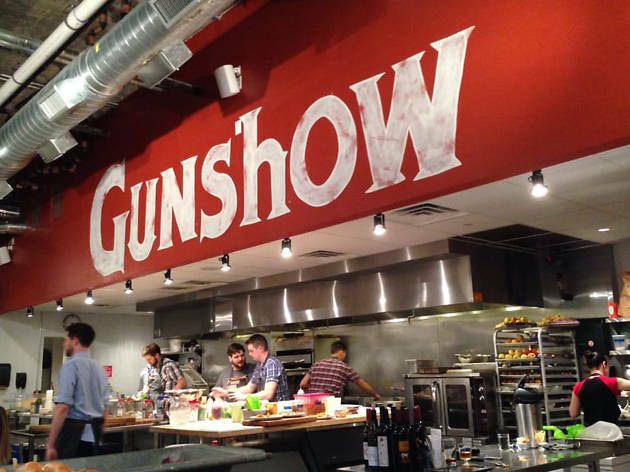 What is it: Named after chef Kevin Gillespie’s dad, Gunshow is a one-of-a-kind culinary experience. Watch the crew craft unique and often adventurous dishes in an open kitchen. A staff member will bring the plate to your table and, if it entices you, you’ll get to order it dim sum style. Not striking your fancy? Worry not, you can pass and wait for the next dish to come around. Insider tip: you’ll be tempted by most of what passes by, so go with a small group of adventurous eaters to make sure you can sample everything. Why go: Dim sum meets Southern haute cuisine under the diligent eyes of Top Chef favorite Gillespie. Warning, though: fans of quiet dinners will have to get used to the loudness of the dining room. 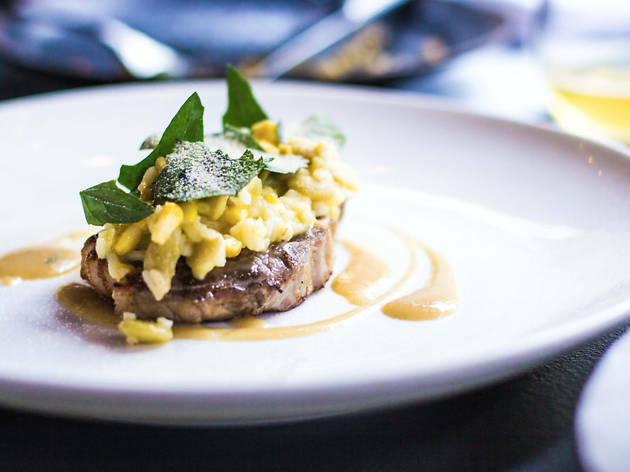 What is it: This Buckhead restaurant is easily one of the sexiest in town, confirmed by the constant parade of visiting A-list celebrities (think Sir Elton John, Tom Cruise, Ashlee Simpson and Sir Anthony Hopkins) and local tastemakers. 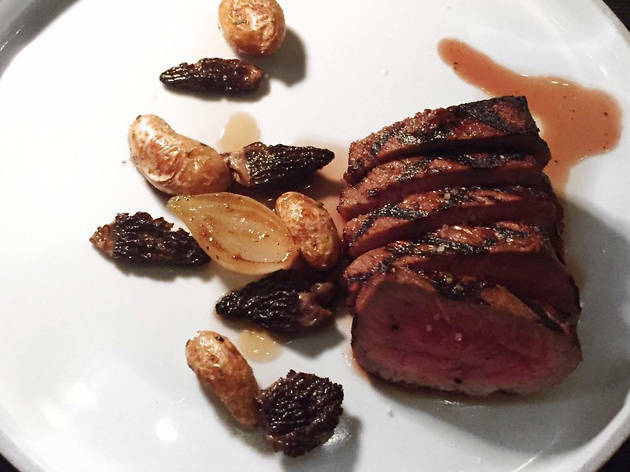 The dimly lit dining room is packed every night of the week, so plan ahead with reservations. 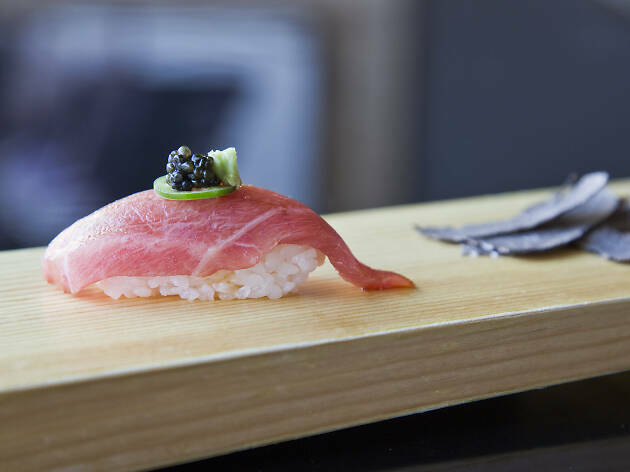 Why go: Spring for the omakase menu and let Atlanta’s preeminent sushi master, chef Fuyuhiko Ito, guide you through his artful menu with dishes like otoro caviar nigiri, Madai carpaccio and lobster toban-yaki. What is it: Dress up. Wear a tie. Learn which fork is the salad fork. This is a seriously luxe dining experience. Even though the restaurant has relocated from its original location to a newer spot not too far away, the signature dishes remain the same. 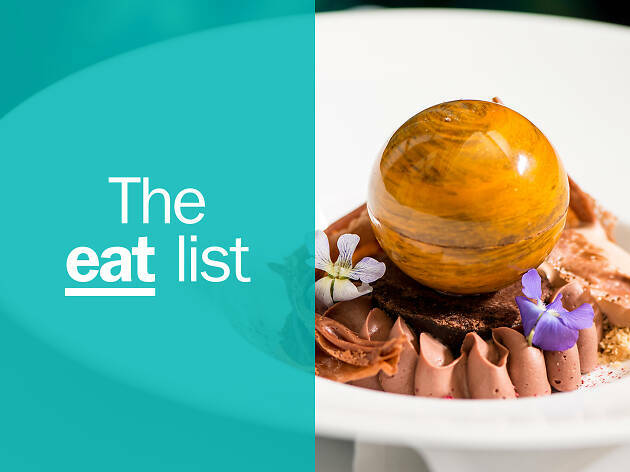 The four-course tasting menu will surprise you in the best possible way. Why go: Fine dining. This is the place to go to celebrate a happy occasion or enjoy a great meal with family, close friends or that special someone. What is it: Visitors might be surprised to find that Atlanta’s become a destination for stellar South African fare, thanks to South African restaurateur Justin Anthony. 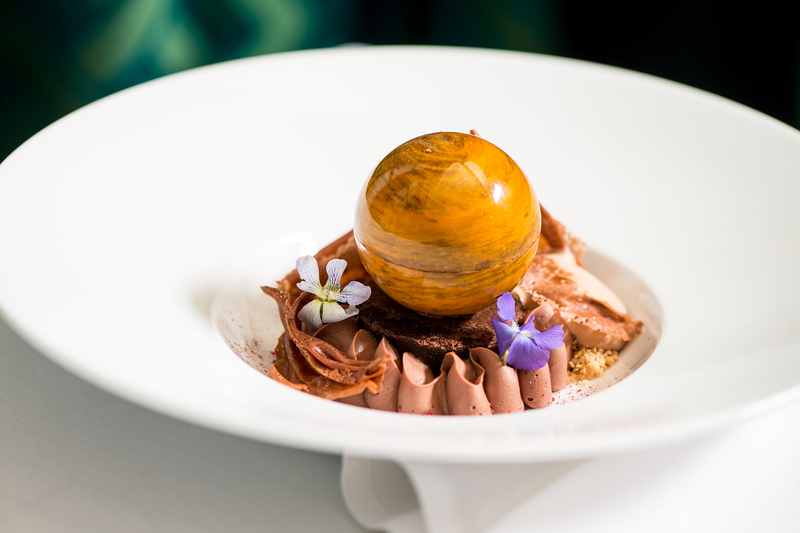 While all of his restaurants offer tasty dishes in warm environments, this one is his group’s shining star under the deft hand of chef Philippe Haddad. 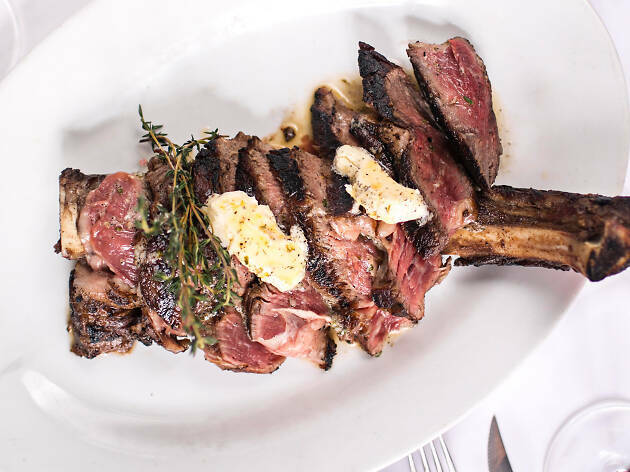 Why go: Spring for a dry aged bone-in ribeye cooked on the braai (or grill fueled by oak and hickory wood), mussels scented with lemongrass and coconut milk or peri-peri chicken. Wash it all down with a glass of wine from the Western Cape. What is it: There is so much to love here. Nova lox and house-made bagels, matzo ball soup, pastrami poutine and chopped liver like Bubbie used to make but with just enough of a twist to keep things interesting. 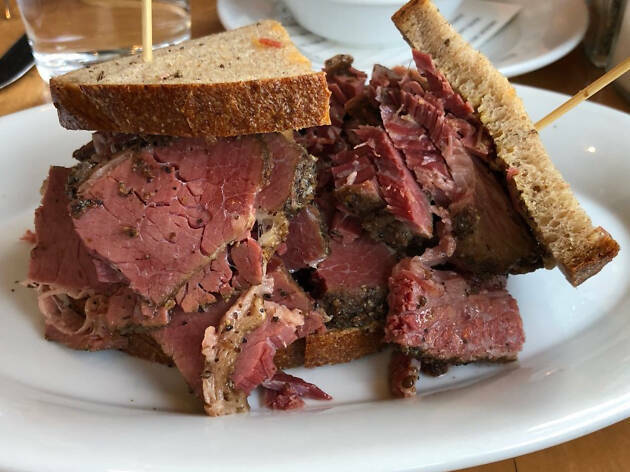 Why go: The best and possibly the only place for homesick New Yorkers and others to get their fix of deli-inspired favorites that taste just like home, only better. Also: order the burger. Trust us on this one. 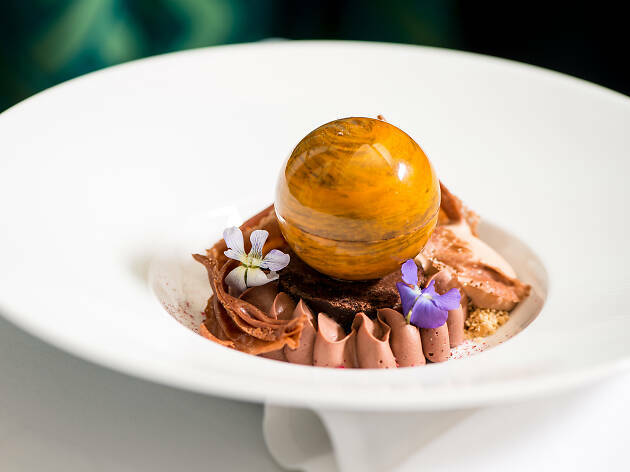 What is it: If you’re looking for a bit of bocce ball and contemporary Southern dining under one roof, Empire State South is the place for you. Part of James Beard award-winning chef Hugh Acheson’s restaurant group (you may recognize him from his days as a Top Chef judge), the food is on point. If your budget won’t stretch to the steep evening prices, visit for breakfast or lunch. Why go: For a fine meal leveraging local ingredients and a comprehensive and creative cocktail list. 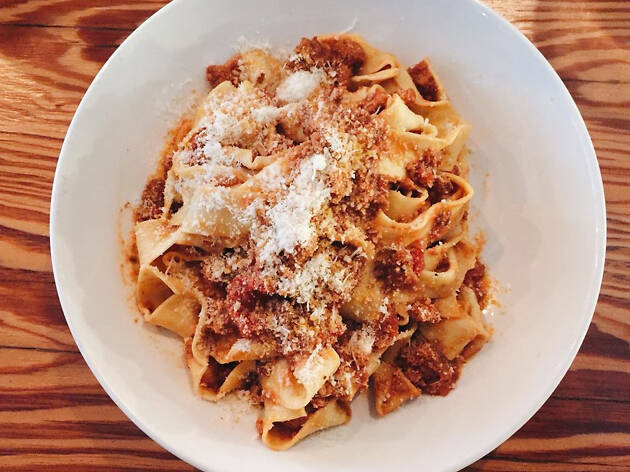 What is it: Pasta is the name of the game at this basement-level Buckhead restaurant and Italian market but, while you’ll find a few old standby favorites like lasagna and cacio e pepe, the kitchen shines in more unexpected creations. Delicately fried Roman artichokes, bucatini with little neck clams and white wine, and cavatelli with wild boar ragu are menu standouts. Why go: Chef Michael Patrick is a culinary historian of sorts and has done deep research over years spent in Italy to understand and resurrect near-forgotten varieties of pasta, many of which are available for purchase in the market. What is it: Thanks to two grill-happy Texans, Atlanta is now home to one of the best BBQ joints around. Tuck into sticky wings, rib sandwiches, brisket and bacon burgers and more meaty options than your meat-loving heart could desire. 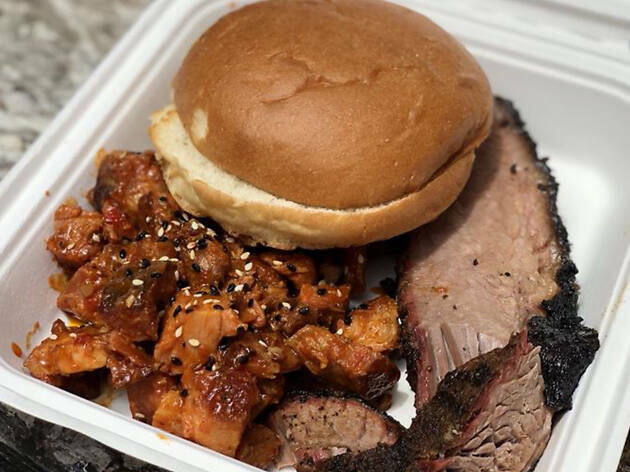 Why go: Biscuits and barbecue, naturally! What is it: It’s hard to do better than this stylish downtown Decatur eatery on a cozy date night. The two-story restaurant serves small plates of contemporary Spanish cuisine, including the delicious Iberian ham after which it’s named. Everything is exceptionally well presented and offered in satisfying quantities. Why go: For a slice of Spain in the heart of Georgia, don’t miss the cast iron-seared octopus, braised pork cheek tacos and braised veal shank ravioli. 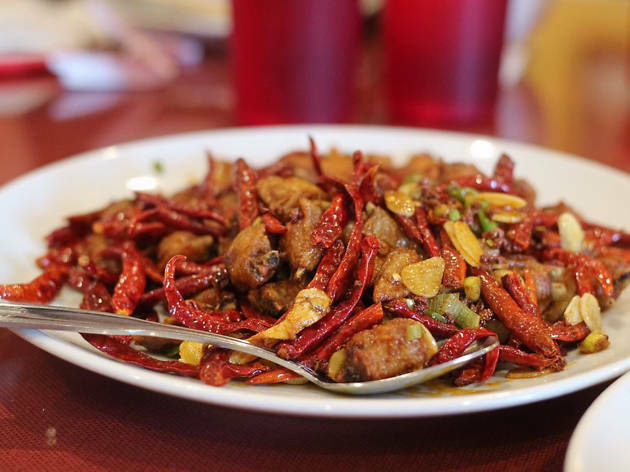 What is it: Chinese master chef Rui Liu serves delicious Szechuan food in an unassuming strip mall in the Duluth section of Buford Highway. Both adventurous and timid diners will find something to love here. Why go: The shrimp and vegetable entrées, like the exceptionally good eggplant and string beans dish, dry pot shrimp and spicy mapo tofu. What is it: The lines are long, the parking situation is ridiculous and there’s almost no real seating but this Korean BBQ fusion joint is so good, nobody seems to care about the all the trouble. Why go: Serious BBQ scholars rank Heirloom Market among the best BBQ spots in Atlanta. The spicy Korean pulled pork sandwich with kimchi (Korean pickled cabbage) is a firm favorite topped with any one of five different sauces. The sides are equally memorable. What is it: Politicians, presidents, hip-hop stars, sports stars, actors and hungry locals craving authentic Southern food all pass through these doors on the regular. 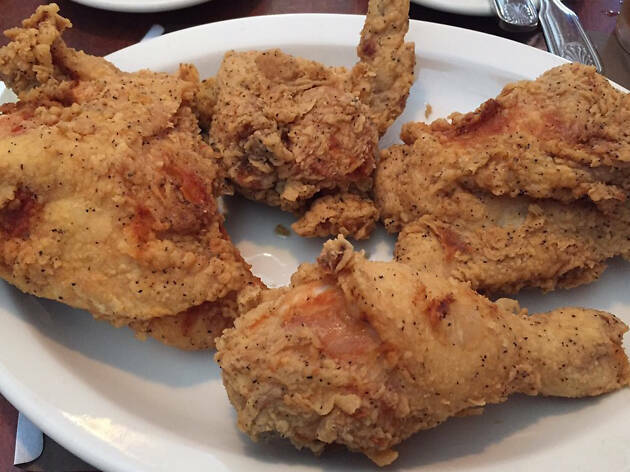 Try the fried chicken or BBQ ribs and don’t forget to get some cobbler for dessert. Why go: First of all, this is an Atlanta institution. Secondly (or, maybe, firstly): the fried chicken, BBQ ribs and cobbler. 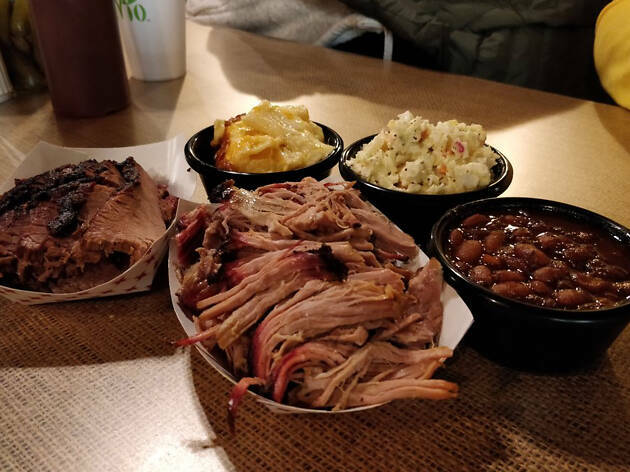 What is it: That less-than-delicate tapping sound you'll notice as you wait in line to order is the chop-chop-chop of delicious BBQ meats, all served in a dining room defined by the kind of country decor that will make you feel right at home. Why go: The eatery is right by Emory University, so it’s the ideal dining destination for those looking to explore the school. What is it: This is another resident of the oh-so-hip Krog Street Market. Here, you’ll find authentic Szechuan grub, from Chengdu cold noodles to fried lotus root, but the main draw are the dumplings, of course. Our advice? Get a large box of the Zhong-style dumplings. You’re welcome. Why go: If nothing else, to take home a bottle of the homemade chili oil and the secret recipe dumpling sauce. What is it: Delicious and affordable banh mi and pho generally considered some of the best in Atlanta, if not the country. Fair warning: the line during the peak weekend meal times can get pretty long so opt for take out if you’re in a hurry. Just make sure not to leave empty-handed. 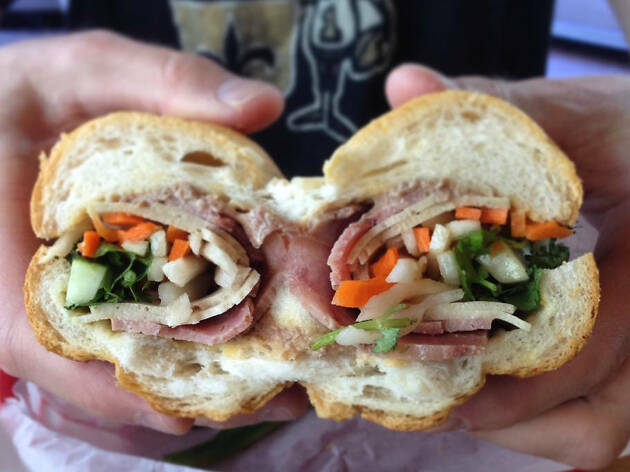 Why go: If you have never eaten banh mi, this is a good time to start. If you’re already a fan, you’ve found your second home. Plus, it’s one of the few Vietnamese places on Buford Highway where you can get a pho-banh mi combo, so you don’t have to choose between favorites. Photograph: Courtesy Yelp/ rel="nofollow">Theresa H.
What is it: The Colonnade has been serving meat and three plates to hungry locals and visitors alike for almost 30 years. This is not a fancy or trendy restaurant, but it is one of Atlanta’s favorite ones. Why go: The wait. Yes, you read that right. Although the restaurant doesn’t take reservations, we suggest you put your name down on the list and spend some time hanging out at the popular bar on premise, among a slew of regular characters, from bikers to blue hairs. Once your table is ready, order the fried chicken and choose from a long list of old-school sides (fried okra, mac and cheese, aspic). 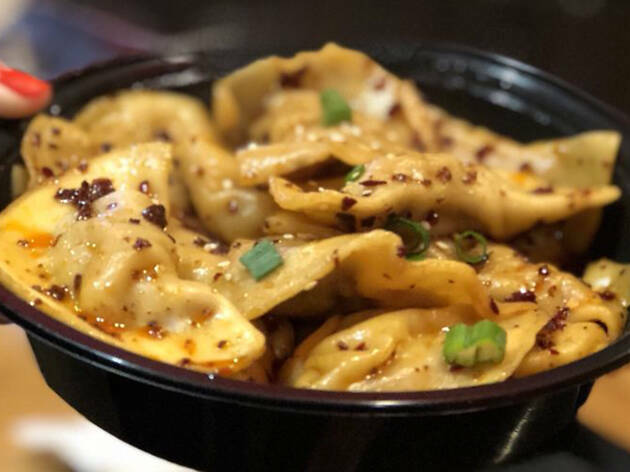 What is it: New-ish kid on the Buford Highway block is wowing diners with its beautiful, stylish interior and a wide selection of Malaysian-style noodle bowls, curries, bao and small plates. Why go: Food Terminal is the hot new bright spot on Buford Highway, the city’s most beloved international dining strip. Along with noodle bowls to suit every taste and mood is an array of vegetarian dishes and virgin cocktails that taste better than their alcoholic counterparts. The garlic bone marrow noodle bowl is mind-blowingly delicious. What is it: Two freak auto accidents severely damaged O4W’s original home in the Old Fourth Ward, so the venue moved into temporary digs outside the perimeter in Duluth. 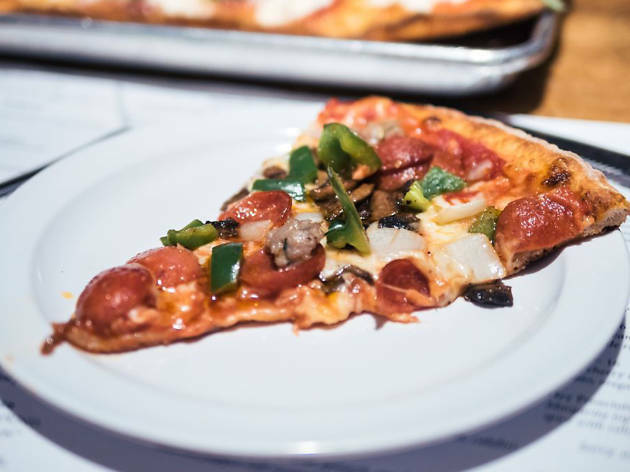 Fans and others need not worry: O4W’s Detroit style, crispy-bottomed pan pizza and its signature “Grandma pie” taste just as good in the suburbs as they do in the city. Why go: The pizza, obviously. 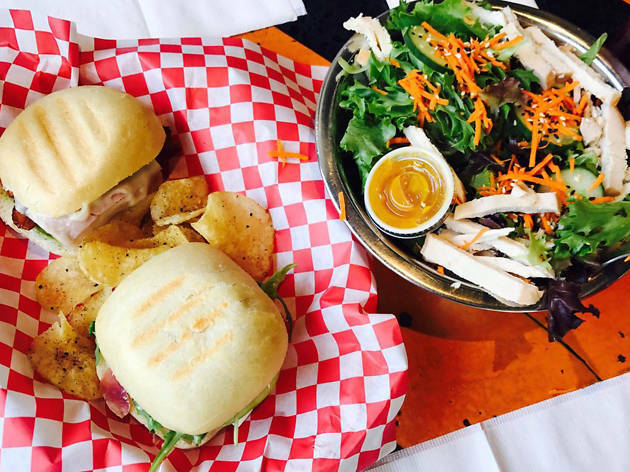 What is it: Tiny but delicious sandwiches and apps packed with a variety of meats and flavors await you. Order two or more with a jar of pimento cheese and a spiked soda. Why go: The entire endeavor is an effort to think outside of the box. From the boisterous environment to the eclectic cocktail list (including the locally famous frozen Jack and Coke) and interesting sandwich options, this will be a very different dining experience than what you’re used to. 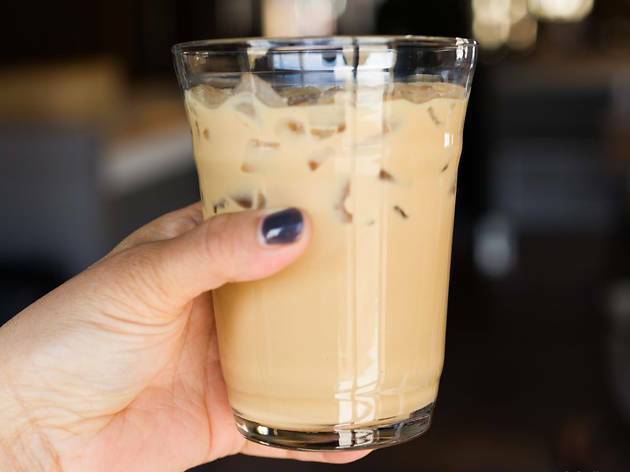 What is it: In India, “chai pani” means popping out for a tea and a snack. 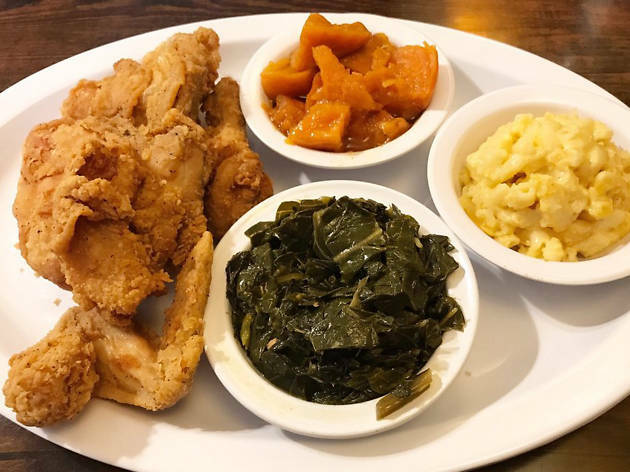 A laid-back, fuss-free kind of outing, which is exactly what this downtown Decatur restaurant offers. 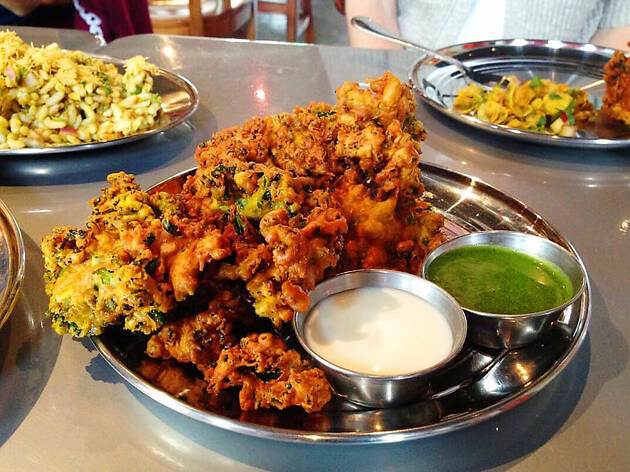 Here, you can relax with authentic Indian street food, such as samosas, pakoras, stuffed rolls and thalis (like Indian tapas). And, of course, they serve chai, among other Indian drinks, desserts and surprisingly tasty cocktails. Why go: This is the perfect place to hang out for hours with good friends. 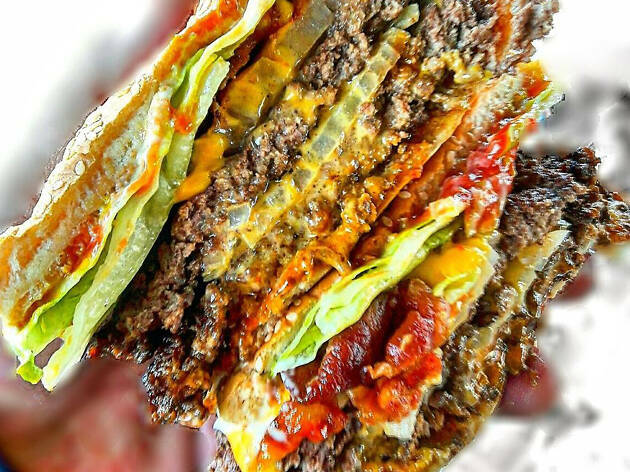 Why go: The burgers are on the bucket lists of foodies all over the world. Why not try them all? 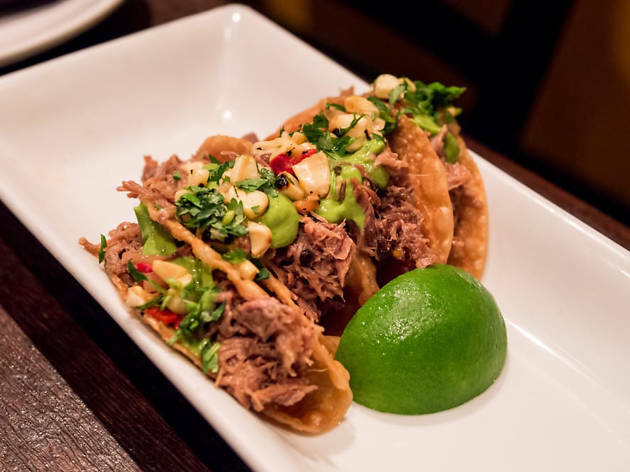 What is it: There is so much more to Latin American food than tacos and burritos. Meat eaters, vegetarians and the gluten-free crowd will find a lot to love here. 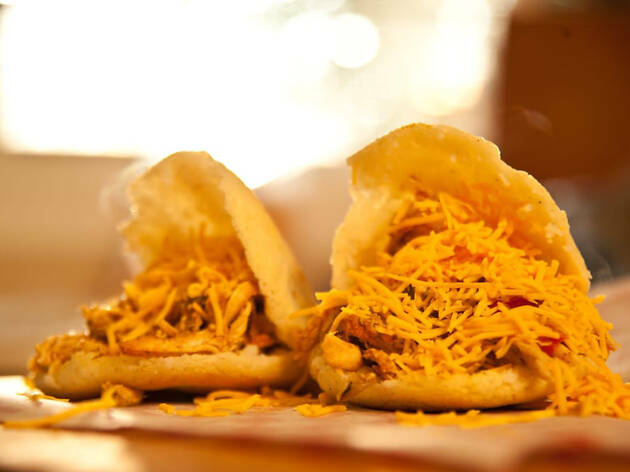 Why go: The arepas: little fried or stuffed pockets of homemade Venezuelan goodness that must be experienced at least once in a lifetime (if not more). Feel like browsing at Atlanta's best markets? Atlanta has an exciting selection of weekly farmers markets and gourmet food halls; both are popular places to gather with friends and family. 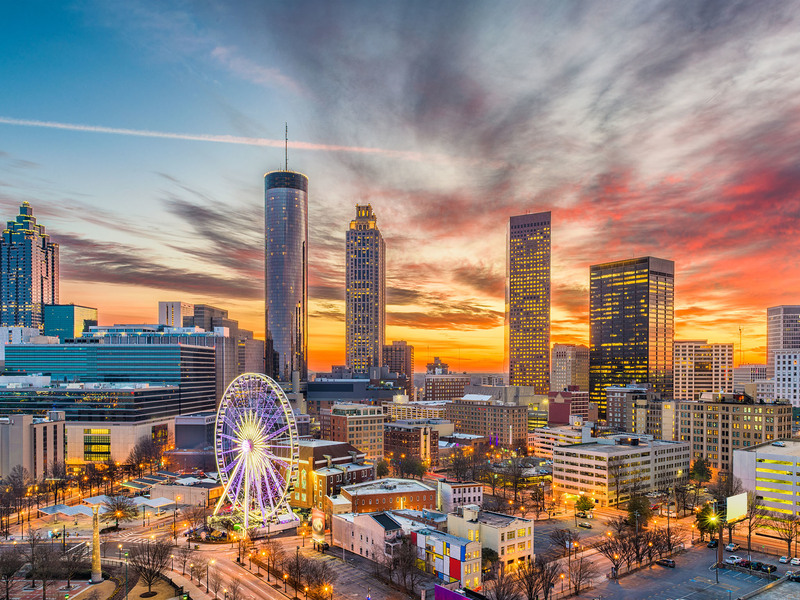 Check out these top markets for a taste of Atlanta’s finest foods and products.